The Dead Sea is draining at an alarming rate, and its coastline is being littered with sinkholes small and large – much like the world’s sandiest swiss cheese. The sea, which is actually a lake, is well known for being 10 times as salty as the ocean and for boasting the lowest exposed strip of land on Earth (its shoreline, at -413 meters). The climate and unique water and swimming conditions made the Dead Sea a popular tourism spot. In the last few decades, however, it’s shores have become better known for their sinkholes rather than tanning spots. 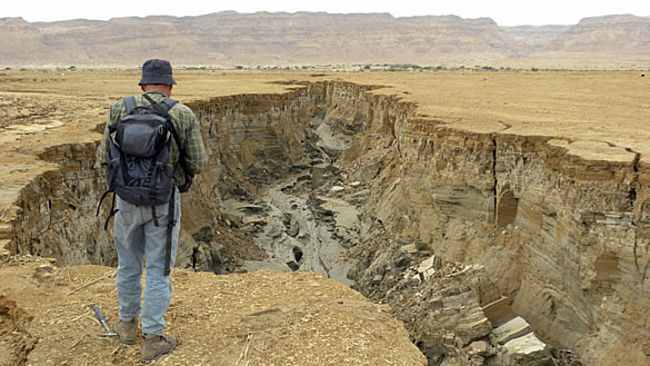 ABC News reports that more than 3,000 sinkholes exist along the banks of the Dead Sea, some of the craters diving more than 80 feet into the ground – about as high as an eight-story building. “These sinkholes are the direct result of inappropriate mismanagement of water resources in the region” said Gidon Bromberg, the Israeli director at EcoPeace Middle East for ABC news. 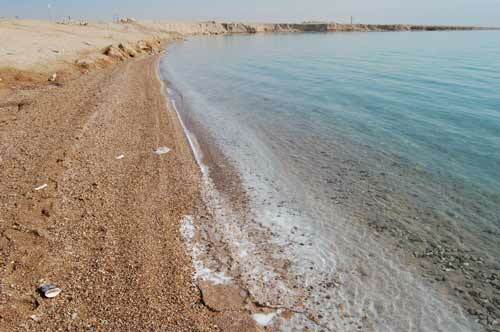 The main source of water for the Dead Sea is the Jordan river. Significant quantities of water -some 2 billion gallons a year- have been diverted for human consumption starting in the 1960s, according to the American Associate Ben-Gurion University of the Negev. Since then, the Sea’a water line has dropped by one meter per year on average, or a total of 30 meters since 1970, according to research conducted by Duke University. And while many different hypotheses have been suggested, not many disagree that the declining water levels are the cause of these sinkholes. 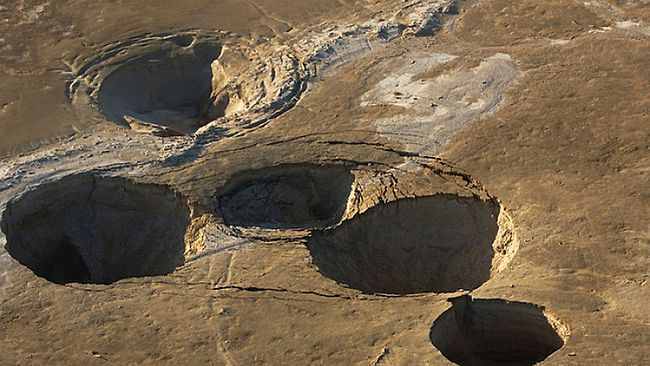 “With the Dead Sea level dropping so rapidly [a meter a year, on average], these sinkholes are inevitable,” said Mark Wilson, a geology professor at the College of Wooster. David Ozsvath, a professor of Geology at the University of Wisconsin, said beneath the clay-like surface layer are cavernous spaces that are filled with water. However, as these subterranean spaces dry up with the receding water levels, the surface layer can collapse into the emptied space creating chasms along the banks. Ozsvath said some sinkholes form over time, while others appear overnight. An earthquake or even heavy rain can cause a sinkhole to collapse into the drained voids in the subsurface. He added that the number of developing sinkholes could be reduced by diverting less water from the Jordan River and allowing water levels in the Dead Sea to rise. 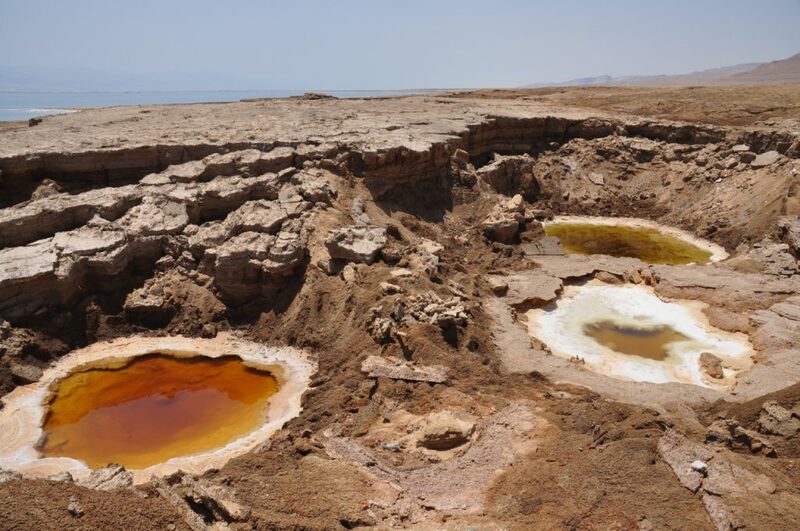 It has been suggested that mining of minerals from the Dead Sea has also contributed to the disappearance of the lake’s dense and salty water.